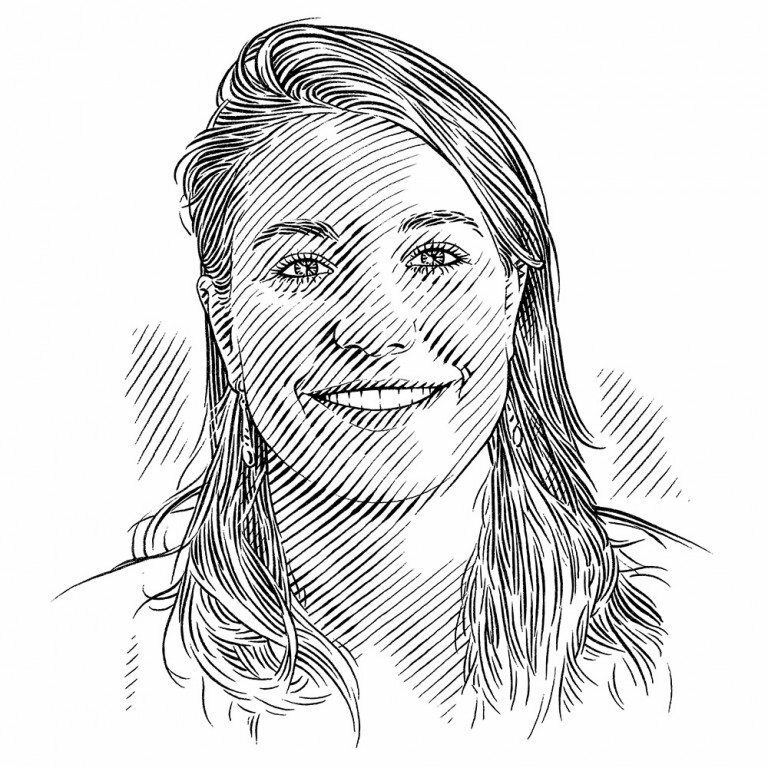 Philippa Ehrlich spoke to Dr Rolph Payet, former Seychelles’ Minister of Environment and Energy, about the country’s proposed marine protected area at D’Arros Island and St Joseph Atoll, and the processes that will be undertaken to ensure its success. Small spotted darts shoal in the foreground while blacktip reef sharks patrol the sand flats in front of the SOSF D'Arros Research Centre. These waters and creatures will be protected by the D'Arros Island and St Joseph Atoll Special Reserve. While growing up in the Seychelles, Dr Payet developed a deep connection with the natural world around him and it was this that motivated him to pursue a career dedicated to the environment. He was educated at various international institutions and received his PhD in environmental science from the Linnaeus University in Sweden. While his multidisciplinary research focused on sustainable tourism, his more recent work has concentrated on island issues, climate change and biodiversity, and has been widely recognised. In November 2007 he became the joint winner of a Nobel Peace Prize, in conjunction with Al Gore, for his work with the Intergovernmental Panel on Climate Change. 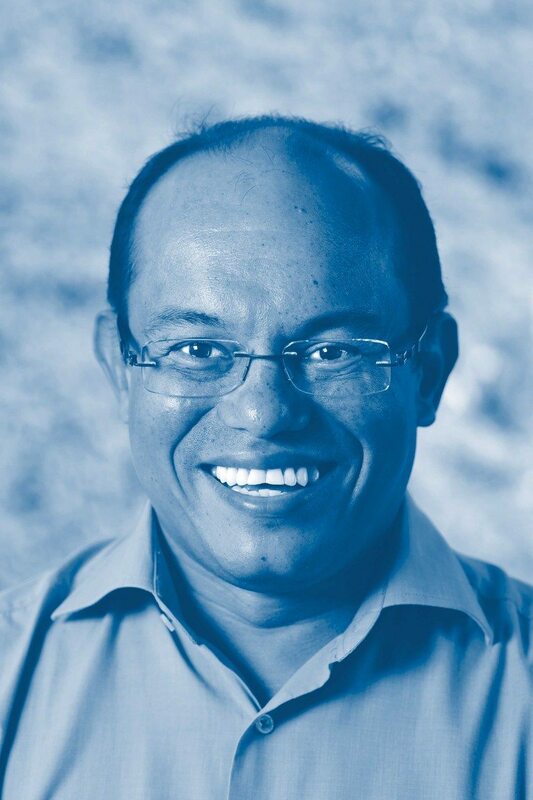 Dr Payet was the Seychelles’ Minister of Environment and Energy from 2012 to September 2014, and he is the pro-chancellor of the University of Seychelles. In October 2014 he took up the position of the United Nations’ executive secretary of the Basel, Rotterdam and Stockholm Conventions. When did you first visit D’Arros Island? I think it must have been in early 2005. I remember walking off the plane and getting the sense that I was in a truly wonderful and unique place. What you see on D’Arros is nature at its best – in balance and intact. I would love to undertake research there for a while, maybe when I retire from office. There is so much to study at D’Arros that could help me understand our islands better. What makes D’Arros Island and St Joseph Atoll an appropriate site for a protected area? Even during that first visit, I thought the D’Arros and St Joseph system would be an ideal site for a protected area. St Joseph Atoll especially has a significant population of seabirds and has been well documented as a very important seabird area. The lagoon is home to an abundance of shark, turtle and fish species and is vital for marine biodiversity as a nursery area and foraging ground. Even in the channel between D’Arros and St Joseph, it is amazing how much wildlife you can find. A lot of research still needs to be done, but the main thing is to be aware of this very critical habitat in the Outer Islands and the need for its protection. What would the benefits of protecting D’Arros and St Joseph be? I think the benefits would be enormous, for now and in the future. At the moment we are going through the process of identifying strategic biodiversity centres in the Outer Islands. As you can imagine, managing an area in the remote Outer Islands is very expensive – logistically, financially and in terms of human resources. Having D’Arros Island as one of those centres of biodiversity, with adequate financing and resources, would be of great comfort to me, as well as to others in conservation and in government. The only actively managed protected area in the Outer Islands of the Seychelles is Aldabra. Adding D’Arros would contribute to our ambition to develop a network of managed protected areas. Furthermore, D’Arros, which is about midway between Mahé and Aldabra, would be ideal for strategic conservation purposes, as it would form an important biodiversity corridor. The Outer Islands are very important habitats for seabirds, so creating a corridor of protected areas in which the birds can nest and feed is essential. Another benefit would be for fisheries. The Seychellois people are already catching fewer fish than they used to, so creating marine protected areas where fish can breed and grow helps the fishing industry by supporting the sustainable use of our resources. It is also essential to recognise the terrestrial environment. By protecting and restoring it here we can ensure that, in addition to Mahé but relatively far away, we have a location where we can conserve important species. Just imagine, if all our endemics were in only one place they could very easily be wiped out, for example by disease. How has the Seychellois government managed to achieve such incredible conservation success at Aldabra, and how would the situation compare with D’Arros and St Joseph? Aldabra has been very successfully managed. I think it boils down to its incredibly remote location, combined with good science and good management. D’Arros is a bit more challenging. We established Aldabra 25 years ago but, if declared, D’Arros would be a new protected area in changed global circumstances. People have bigger boats now, fishing is more intensive and the needs of fishermen have changed, so gaining their acceptance is going to be more of a challenge. The other issue, of course, is that D’Arros is privately owned. The owner has made it very clear that he wants the island to be set aside for conservation, but until this happens people will have their doubts about the motives behind the proclamation. In time, though, they will see that protecting the area is genuinely good for the Seychelles. D’Arros has some advantages too. Aldabra is a massive atoll – the largest raised atoll in the world – and because it has such dense and rough terrain it has been difficult even to map it completely. In comparison, access to D’Arros and St Joseph is relatively easy, which means that scientific research becomes a lot more manageable. Was the Save Our Seas Foundation D’Arros Research Centre a critical factor in the decision to propose the reserve? The SOSF D’Arros Research Centre has helped to create science in a very important location and I’m happy it is focused not only on marine science. I think it has helped us understand a lot more about island ecosystems, on the other coral islands as well as on D’Arros itself. We have to see the research centre for its benefits not only to D’Arros, but to the Amirantes Bank as a whole. It is important for every one of the Outer Islands, from African Banks all the way down to Alfonse and St Pierre. The giant trevally Caranx ignobilis is a large apex predator that schools in large numbers to spawn over deep reefs. What are the plans for managing the proposed protected area? We intend to designate the marine area within one kilometre of the D’Arros Island Group and include the terrestrial habitat of St Joseph Atoll as part of the protected area. After designation, we will need to appoint the wardens, and I think after that we will work with the D’Arros team to prepare a management plan for the protected area. When that’s been done, we’ll be in a position to meet the stakeholders and discuss with them exactly what we are going to do on D’Arros. Once the plan is finalised, it will be up to the ministry to measure and assess the performance of the protected area based on the research, conservation and management targets that we have set jointly. Do you think that local fishers are receptive to the proposed protected area? Setting up a marine protected area is a very delicate issue. It’s always a challenge with fishermen because they assume that we are trying to lock them out of areas they are used to having access to and that their livelihood will therefore be negatively affected. I think, though, we are winning the game by showing them that protected areas actually help fisheries. We’ve had good results here on Mahé, where we have demonstrated that protected areas are helping to build fish stocks. We will have to do the research so that we can provide them with similar information about D’Arros. I think that, in the long term, fishermen will start to see the benefits. Seeing fishing boats just outside the boundary of a protected area is proof enough that they can work. What tools or plans do you have to foster stakeholder buy-in? I think the first important tool is scientific research. It is very important to show that adequate research has been done, illustrating how crucial the region is in relation to other areas. We also need to be transparent. This is the only way stakeholders will take us seriously and trust our plans. Most importantly, we need to talk to people and listen carefully to their concerns. The process is about determining whether stakeholders’ concerns are justified or not, and if they are justified, how best we can address them. We need to look at how to balance their needs with our conservation objectives. What do you regard as the responsibilities of the Save Our Seas Foundation when it comes to the area? I think the Save Our Seas Foundation is already doing a fantastic job on D’Arros to foster scientific research, and I think its role would extend to the management and enforcement of the proposed protected area. I also see the Save Our Seas Foundation as an important platform for engaging in local education, which I think is the other component. We need to get our kids and the local people involved with what’s happening on D’Arros. The Island School Seychelles is an important part of this. Outreach would help to elevate the status of the D’Arros and St Joseph Special Reserve because people would see that we are doing something really positive and important on D’Arros. Do you have any other sites planned for protection? We are currently doing a marine spatial analysis where we try to identify sites for marine protected areas. We are a whale sanctuary, but we have not yet done anything for sharks. And although the turtle species themselves are protected, their foraging grounds are not. My idea is to have satellite centres around the Outer Islands where we can visibly, economically and also financially develop and protect species of national and global importance, and at the same time create centres for biodiversity and resilience. Resilience is an important issue that will become more and more relevant as we tackle the challenges that come with climate change. How will you ensure the long-term sustainability of these marine protected areas? We are developing different financing models to ensure the sustainability of conservation in the Seychelles. In the case of D’Arros, for example, we plan to have private and non-governmental financing. In the case of North Island, we have financing from tourism. In other places, we have combined financing from government and tourism sources. Conservation can be very expensive and if it’s not developed with innovative financial mechanisms, it will be very difficult for us to achieve the objectives that we have set. How are you aiming to address the conflict between growing material aspirations and long-term environmental sustainability in the Seychelles? I think the first place to start is in homes and schools, and also with our visitors – tourists. When we talk about energy and water conservation, people might not think they relate to the oceans, but we need to help them see the interconnectedness of our planet’s systems. By targeting actions in the home and in hotels, we can help people to understand their environmental footprint. We also need to integrate marine and environmental education into schools, homes and tourist accommodation. We need our young people to grow up with the knowledge that their activities will have an impact on the planet so that they become wise consumers and wise users. Why is a productive and healthy marine ecosystem so important for the Seychellois people? The Seychellois are completely dependent on the ocean. We have survived for the past 200 years or so only by relying on the marine environment. It’s a bit of an irony that sometimes you forget that you can negatively affect the same ocean you depend on. And today we, as a small country, are not the only source of impact on the ocean. You might say, ‘Look, there are only a hundred thousand of us. We eat only a limited amount of fish. We don’t have to export live fish. We don’t dynamite coral. We don’t trawl. We are doing things right.’ But with globalisation, things are no longer only about ‘us’ in the Seychelles. In 1998, the Seychelles had – for the first time in recorded history – a coral bleaching event; it was clearly linked to global warming. Our islands are not immune to the threats of climate change; reducing greenhouse gas emissions is critical for saving coral reefs, even in remote locations, and this must be done by all the people on our planet. We also have an increasing number of global companies wishing to exploit our seabed resources. We have new opportunities coming through for oil exploration. We have the shark-fin trade. There was no shark-fin fishing industry in the Seychelles until people discovered that there was good money to be made from shark fins. Demand for shark-fin soup continues to grow, despite all the conservation messages we keep sending out. We have to realise we are not only a hundred thousand people; we are part of a global community and that changes the whole dynamic of conservation management. Dr Rolph Payet, Seychelles’ Minister of Environment and Energy.